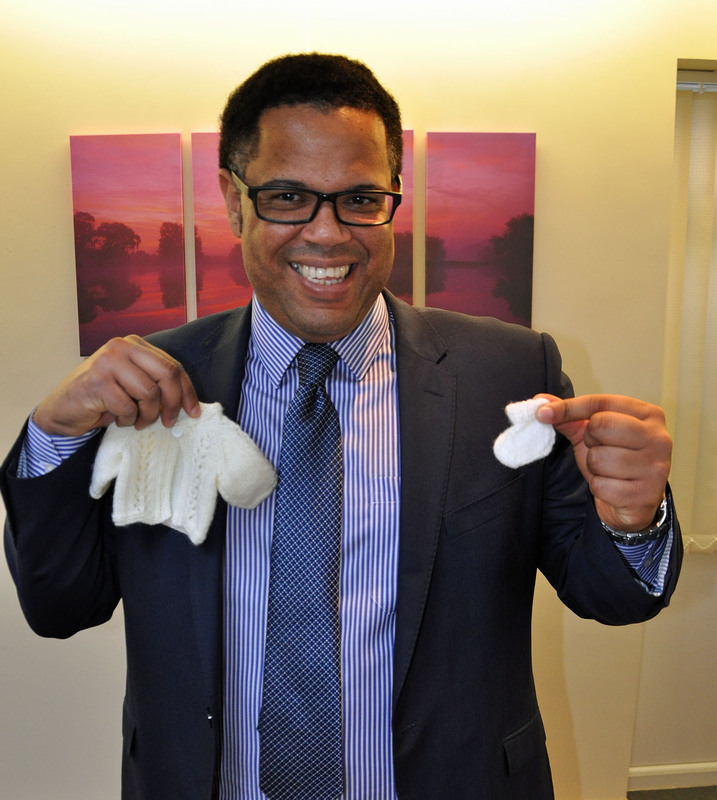 Dorset’s Douch Family Funeral Directors have become the local co-ordinator for Preemies UK, which supplies hospitals with tiny clothes for premature babies. Each of the company’s seven branches will collect the knitted items from volunteers and supply materials and patterns to those who want to take part. Preemies UK is a not-for-profit organisation that aims to keep neonatal intensive care units across the country supplied with ‘tiny togs for tiny tots’. There is no company that makes the woollen garments so small and Preemies UK depends on an army of volunteers. 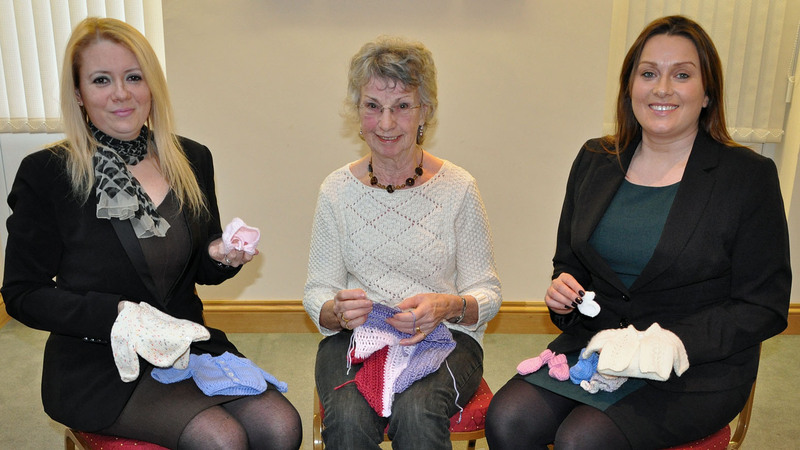 Douch Family Funeral Directors have pledged to help and are hosting ‘Knit and Natter’ coffee mornings at its Ives & Shand branch in Parkstone, Poole. The other branches in the group are Douch and Small in Wimborne, AE Joliffe & Son in Ferndown, Lesley Shand in Corfe Mullen, James Smith in Swanage, and Albert Marsh in Wareham and Upton. Premature infants require tiny knitted bonnets, booties, cardigans and blankets in order to keep warm. The babies find it very difficult, if not impossible, to maintain their body temperature so they need clothing that fits well and is designed to allow for wires and the constant monitoring that happens in neonatal units. Having been collected by Douch Family Funeral Directors, the clothes are sent to Preemies’ HQ to be distributed to the hospitals. Charlie Loveday, a funeral director who works at the Ives & Shand branch, has been involved with Preemies UK for two years since her daughter Lily was born. She said: “My daughter was poorly and in the neo-natal unit and these little clothes kept appearing for the premature babies and I learned that they were all supplied by volunteers. Renee Guest, a knitter who has been making the clothes for the last two years, will be on hand at the Knit and Natter sessions to help others learn what is required. She said: “The clothes are needed across the country and because they have to be washed at a very high temperature they don’t always last very long. “Also, parents often take the clothes home with them as a keepsake, so there is always a need for more. Nick Douch, Managing Director of the company, said: “This is a great cause and our branches are ideally placed to act as a reception point. “We will provide materials and patterns, but will gratefully receive any donations of wool, buttons or ribbons that we can pass on to the volunteers. “And we’d be pleased to hear from anybody who could transport the clothes to Preemies UK at their HQ in Worcestershire. The first Knit and Natter session at Ives & Shand on Ashley Road in Parkstone is on February 27 from 10am to midday. For more information call the branch on 01202 716500.